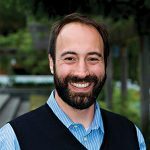 Lab Co-Director Ryan Calo discusses data and privacy on a panel hosted by KUOW and Geekwire with Marketplace Tech's Molly Wood. "Three University of Washington professors, including two from the Information School, have been inducted into the CHI Academy – recognized as the highest honor in the field of human-computer interaction." Co-Director Ryan Calo and Fellow Madeline Lamo discuss bot disclosure laws in an op-ed published by BuzzFeed News. Lab Co-Director Ryan Calo is featured in a Washington Post article describing how police used Spotify and other streaming services to located abducted kids in Mexico. Lab members Tamara Bonaci and Howard Chizeck's work on the security of Teleoperated robots has recently been featured in a number of science news reports including MIT Tech, Popular Science, and Ars Technica. "Tamara Bonaci and pals at the University of Washington in Seattle examine the special pitfalls associated with the communications technology involved in telesurgery. In particular, they show how a malicious attacker can disrupt the behavior of a telerobot during surgery and even take over such a robot, the first time a medical robot has been hacked in this way." In a recent article the New York Times asked "Can We Build a Safer Internet?" They examined whether the harassment and hateful internet of today could one day change for the better and discussed the issue with Co-Director Batya Friedman: "The question for designers of online communities, she said, is 'how do we either create virtual norms that are comparable, or how do we represent those things so that people are getting those cues, so they modulate their behavior?'" Lab Director Ryan Calo’s new paper, “The Case for a Federal Robotics Commission,” has received recognition from both the Washington Post and Slate. The paper is part of a series hosted by Brookings that attempts to anticipate and address the legal issues that will arise as civilian robots become more common. Lab Director Ryan Calo was recently on a robotics panel at UC Berkeley that has been featured on Wired. Following the news about a Facebook study on the effects of changing the positive or negative comments on a user's News Feed, many articles have taken Facebook to task for experimenting on their users. Others have pointed out that this study is in line with using algorithms to tailor content, and suggest new processes for companies to handle such research. Recently, Co-Director Ryan Calo was interviewed on NPR's Market Place Tech about his 2013 suggestion for Consumer Subject Review Boards.